You will need your SSN, and if you have a spouse that is a co-owner, theirs as well. The forms are pretty self explanatory with a few exceptions. I’ll share what I selected/filled in but I am no accountant nor tax expert so don’t blame me if it is wrong! I chose option 2 “Register a Partnership or Proprietorship” as we are sole proprietors of “the business”. I filled in the name and address fields. I used my rental property address as the business address and my home as the mailing address. I put the start date as 10/1 because as far as I am concerned, this wasn’t a taxable ‘business’ until then. On the “business classification” section I had to do some digging to find the codes that seemed most appropriate. 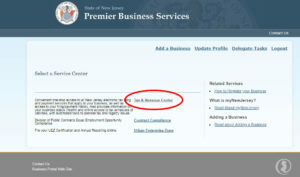 For NJ Business codes I chose 2733 – Real Estate. In the “owner” section I added myself and my wife as the owners, and listed it as a proprietorship. I don’t remember the rest of the details but my recollection is that it was pretty straightforward after all the codes. Once it is submitted you will basically see a screen with two links. One is a plain text file of everything you entered, and the other is a PDF form of your actual sales tax certificate. You need to save/print that out. Technically, you are supposed to post it in your place of business. If you’d like you can verify your registration but I think you may need to wait a couple of days. For “Name Control” use the first 4 letters of your business name or last name. For individuals, enter your SSN followed by three zeros (123456789000) in the “Taxpayer ID” field (section 2). For businesses, skip section 2 and enter your 10-digit tax ID in section 3. This is probably your Federal EIN followed by 3 digits – you should see this number on the tax certificate you received after registering. Hit ‘submit’ and you should see if your business is officially registered and active. When the amount due for any monthly period covered by Form ST-51 is $500 or less, you do not need to file a monthly return. Payment for that month must be made with the next quarterly return, Form ST-50. So, unless you did over $450,000 in rentals last year you will NOT need to file monthly Sales Tax. For most owners you will only need to file and pay quarterly. Months for Quarterly Return Periods are April, July, October and January. That means we don’t need to file and pay Sales Tax until January. Unlike the Sales Tax, it appears that Hotel & Motel Occupancy Tax must be filed monthly. This can be done online as well per the link above. There are two different sites to pay the two taxes (Sales & Use and Hotel and Motel Occupancy). The links are below. 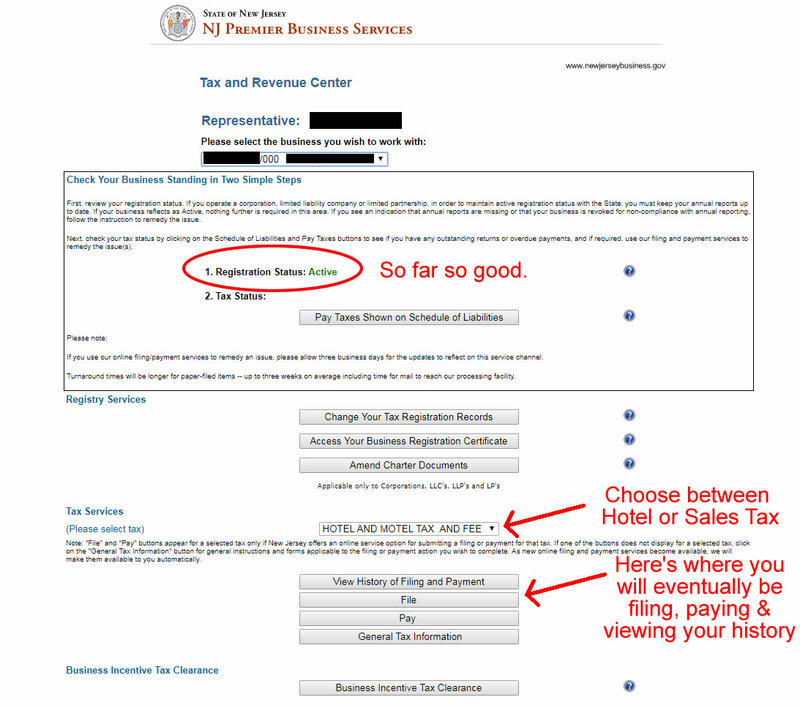 To log in, you will only need your taxpayer ID number and your “Business Name”. If you are incorporated or a partnership, you will probably have a Federal EIN, in which case it will be your FEIN followed by a 3 digit suffix (this should be on the certificate you got when you registered). If you are an individual, it will be your Social Security Number followed by three zeros (if your SSN is 123-45-6789, your Tax ID is 123456789000). Your Business name, if you registered as a business, that’s simple. If you registered as an individual, your business name is YOUR LAST NAME. Choose the correct options and click “submit”. This will bring you to the actual screen where you enter your rental income (Sorry, I didn’t capture the initial screen but it looks almost like this one). If you have a mix of Realtor exempt rentals and direct taxable rentals, you need to enter the total rents in line one and the exempt (Realtor) rents in line 2a. Note: You cannot leave ANY fields blank. Any unused fields must have an entry so put zeroes in any extra fields (like the entire first column). Once you hit “calculate”, the system will confirm your numbers and display the screen above with the fields all calculated. Once you see the confirmation note in RED at the top, you can then go to the bottom and click “submit this return”. On the next screen you will see a “pay” button. Click that and you will be given two choices….pay by eCheck or pay by credit card. The rest is self-explanatory….EXCEPT….if you choose eCheck, the system requires you to enter your check info, hit “submit”, and then takes you to the identical screen and has you re-enter all the check info again to be sure it matches. THEN you can officially submit the payment. It is unclear so I thought I would point it out. 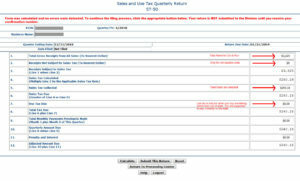 Sales & Use tax only requires quarterly submission. The Sales Tax quarterly submission works just like the Hotel & Motel Occupancy Tax. The fields you need to enter are highlighted in RED. Once you’ve filled them out, hit “Calculate” and it should confirm the information you entered. Once you are sure the numbers are right, hit “Submit this Return”. On the next page you will see the option to “File & Pay”. After that the process of paying is the same as with the Hotel tax above. If you would like to access your Sales and Occupancy tax history, file and pay all in one place you can register for the state’s “Premier Business Services” site (This is a free service). 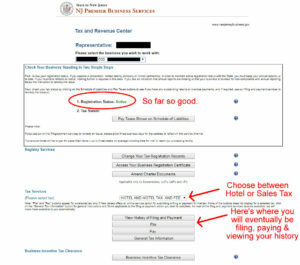 (You may first need to register for “MYNJ” by visiting: https://my.state.nj.us/portal/Desktop – this is free as well. 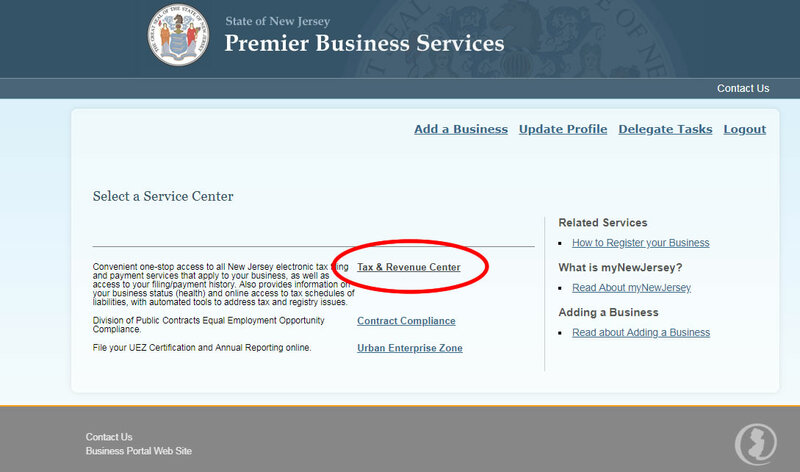 Click on “Tax & Revenue Center”. You will then see the following screen. This is where you can submit, pay and review all of your Sales Tax and Occupancy Tax filings. There isn’t anything you can do yet, I think you have to wait until November to do anything. This industry comprises establishments primarily engaged in acting as lessors of buildings used as residences or dwellings, such as single-family homes, apartment buildings, and town homes. Included in this industry are owner-lessors and establishments renting real estate and then acting as lessors in subleasing it to others. The establishments in this industry may manage the property themselves or have another establishment manage it for them. I don’t think 531110 applies to short term rentals based on the description of “lessors of buildings used as residences or dwellings”. Because these are short term rentals, they are usually not referred to as “tenants” and we as “landlords”. We are renting “transient stays” of a few days or weeks. The difference is our guests are NOT establishing a residence….thus we are not “leasing our homes as residences” – nor would we want the additional requirements associated with that type of landlord/tenant relationship.